When you’re taught how to drive, you’re taught the most important rules such as following road signs — but there’s a good chance that there are other more subtle rules are left out from your knowledge. These rules aren’t just a caution to help you avoid the law, but are also in place to help you become a safer driver. Since newer drivers tend to get into more frequent and serious car accidents, it’s become illegal for all probationary drivers to use mobile phones for any function at any time while the car isn’t parked. This includes playing music or using the map. Even when the car is stationary such as at traffic lights or when you’re waiting to turn, mobile phones are prohibited. You might think that when there’s a crash, your only responsibility is to make sure that you’re okay. But there are other rules that are in place you need to follow. The first is that you need to help any injured person involved in the crash. If there’s an injured or killed person in a crash and you don’t provide assistance, you can be fined up to $140,000, be imprisoned for up to 10 years or lose your licence for at least two years. Another rule that must be followed is that you need to provide your name, address, registration number, and vehicle owner’s name to all those involved in the crash and police if they’re present. These rules are to ensure first the safety of everyone involved and also to have a satisfactory tracking method to determine what really happened in the crash scene. This rule might seem arbitrary at first and even incorrect because plenty of people drive on the right side of multi-lane freeways. 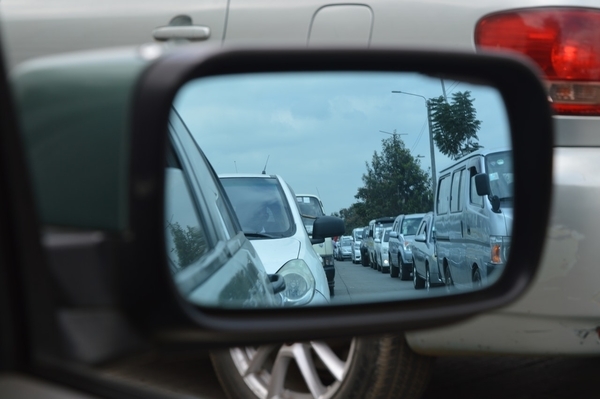 But when you’re driving on these roads, you should only use the right lane if you’re overtaking another car, turning right or if traffic is congested. This means that when you’re just cruising down the highway, it’s important for you to stay on the left lane. It’s actually not illegal to wear thongs or flip-flops while driving, but you can still be pulled over for not being in proper control of your vehicle. Whether or not this footwear impacts your driving by being in danger of falling off is up to debate, but it might be wise to put on proper footwear regardless of this. Regardless, if you’re in a crash and they find that you were wearing loose-fitting footwear, it’s not completely unreasonable to assume that perhaps your shoes got loose and stopped you from being able to break. Especially when it comes to the two signs — they have different rules. If there’s a no parking sign, you’re actually allowed to stop for 2 minutes in the area if you remain within 3 metres of the vehicle. This is usually to pick people up or drop passengers off. However, if there’s a no stopping sign, you’re not allowed to stop including for picking up or dropping off passengers. It’s a small distinction, but an important one to note.